Lynx in the UK is a separate and completely different company from Lynx Canada. The British company is older and was founded by Dr Charles Hewlett, the inventor of seismic vectorizing. Lynx Canada began when a former president of Lynx Canada, Dr John Byatt, approached Dr Hewlett, way back in 1989. Dr Byatt was looking for a way to get some paper seismic digital, and had heard of the UK company. Charles Hewlett had just created a method to take paper seismic displays and convert them to SEG-Y data for the emerging presence of workstations in G&G offices. And he had just opened the office of Lynx Information Systems Ltd. in England. John Byatt agreed to rent the vectorizing software from the London-based company. Lynx in the UK and Lynx Canada have always been completely separate. There has never been any partnership, ownership, or labour-sharing. 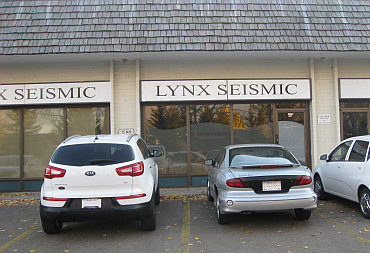 Lynx Canada is a Canadian owned and operated company which uses the Lynx UK software for some of the steps in vectorizing and processing seismic data (It is still the best system in the world!). Lynx Canada would love to help geologists and geophysicists based in Canada and provides great service and turnaround out of its southwest Calgary offices. But if you are located in the UK, we recommend you talk to the folks there. US companies are best served by the Lynx office in Houston. Any direction you decide to go, you will get an excellent reconstruction of your seismic.